For use at counter, bar table or bar we recommend a distance between seat and counter height of about 30cm! A family of stools of great impact and comfort completing the Flow Collection. Designed from Jean Marie Massaud for home, office and community areas, they’re available with a wide range of bases and finishes. The here offered model is equipped with a 4-legged oak base and a seat shell made of polyurethane, which can be ordered in the colours matt white and black. The solid oak base is also available in different colours. Flow Stool with oak base is available in 3 different heights - offered as a bar stool with footrest or small stool. 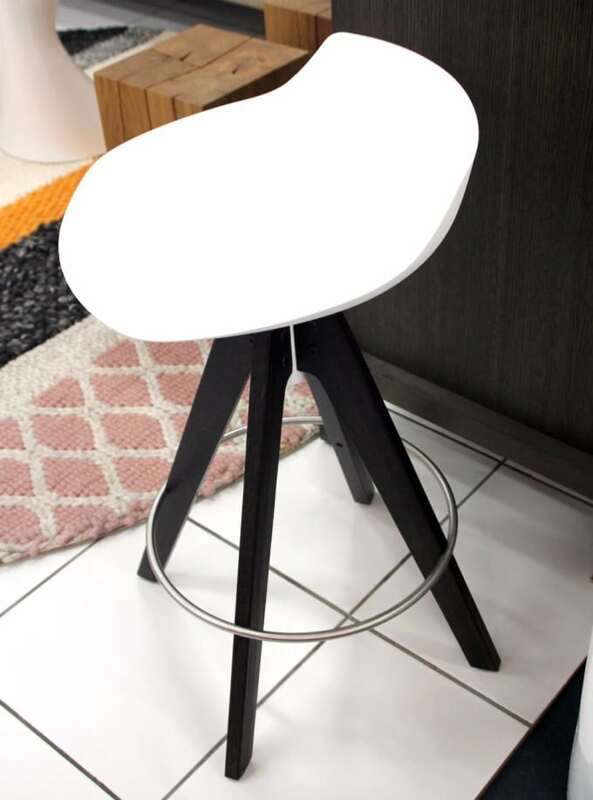 If you are using the stools at a counter, bar table or at a bar, we recommend a distance between seat height and counter height of about 30cm! Flow Stool is also available with with sled base, 4-legged base in steel and 4-legged LEM base. Do you have a question about "Flow Stool (VN oak base)"? How can we contact you?